What Is Finesse Fishing… How’s It Done? Finesse fishing is a curious, tried and true way of fishing for bass. 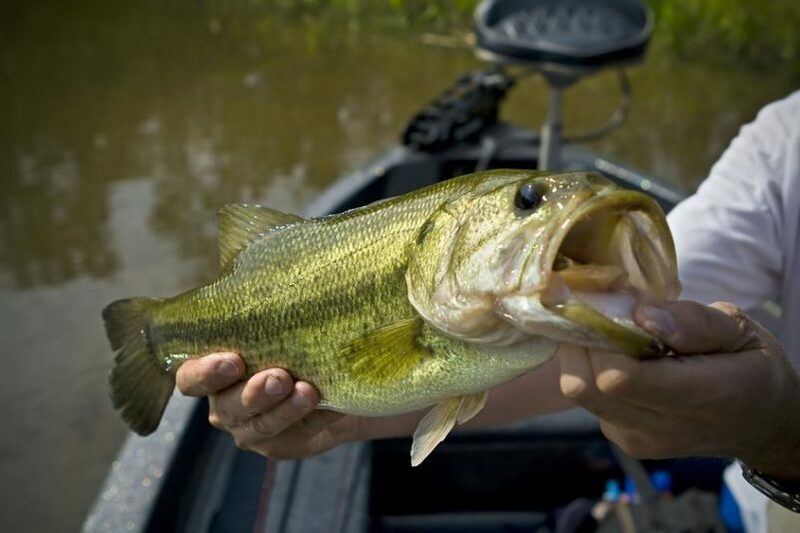 Normal bass fishing often relies on a strong presence, whether it’s a rattling crankbait or a thumping spinner blade. However, these fish oftentimes choose to ignore the brash entry of an intruder and instead key in on subtle movements of easier prey. By observing this behavior, you can tweak your method of angling to be much more productive. When finessing bass, weight is your worst enemy. The heavier the bait, the more likely it is to crash through the strike zone, scaring away potential opponents. Therefore, I find that weightless presentations run the game when it comes to a finicky bite. One of my favorite finesse presentations relies on a time-honored bass angler classic. By Texas rigging a curly tail worm, you can present a strong imitation of a dying baitfish, which drives fickle bass crazy. Stick style baits, like the Senko, are also fantastic in this situation, as they “shimmy” downwards when fished weightless. However, my absolute favorite lure to throw sans-weight is a Texas-rigged lizard. All four legs and tail are made with a curled length of polymer, which creates an enticing ribbon effect as the lure cruises through the water. In all of the baits I’ve covered thus far, I’ve referenced in a Texas rig format. But, it’s important to note that the Texas rig isn’t the end all be all of finesse fishing. A more recent creation has been filling livewells and winning bass tournaments, with a deceptively simple setup. By impaling a stick style bait directly through the middle, you can create the wacky rig! The wacky rig is aptly named, as the hook position causes the bait to wiggle in mysterious ways, regardless of the profile. I’ve even caught bass on wacky rigged lizards! To fish this strange setup, you simply hop the lure through the water with a series of smooth pops of the rod. Pauses are key in this presentation, as they really allow the subtle motions of the lure to manifest properly. Another fantastic presentation is the Ned rig! I’ve covered this rig in other articles, but its year-round utility secures it a spot here as well. The Ned rig is created when you thread a 1-4” piece of a stick bait onto a light jig head, similar to those you would use when pursuing panfish. The slim profile of this presentation practically fishes itself, to be honest! This is how to fish a Ned rig: you can throw it to cover and allow it to sink, you can walk it through the water with a series of consistent pops of the rod tip, you can simply cruise it through the water with a steady retrieve – the possibilities are nearly infinite. The deceptively simple setup of this rig is the key to its ingenuity. By using minimal frills and weight, you present an accurate minnow profile to the depths, that can be controlled in any manner of ways and stay true to its form. So, now that you know how to set up for finesse fishing, when should you apply this knowledge? Well, the simplest way to answer that is: whenever you can’t catch a fish. I find those finesse tactics are great for creating opportunity where none existed previously. A great example is the current weather in central Alabama. We are embroiled in a heat wave, which will give way to a week of storms soon. The aftermath of this onslaught of high and low-pressure systems is a deeply instilled sense of lockjaw in the gamefish nearby. To overcome this, one would be wise to throw smaller, lighter baits that can be allowed to fall under the slack line, creating the effect of a stress-killed forage fish fighting for its last gasps. This tactic is especially effective anytime the temperatures hit an extreme, as baitfish tend to overexert themselves and fade away. All of these tactics are great, but it’s important to note that your gear choice matters as well! 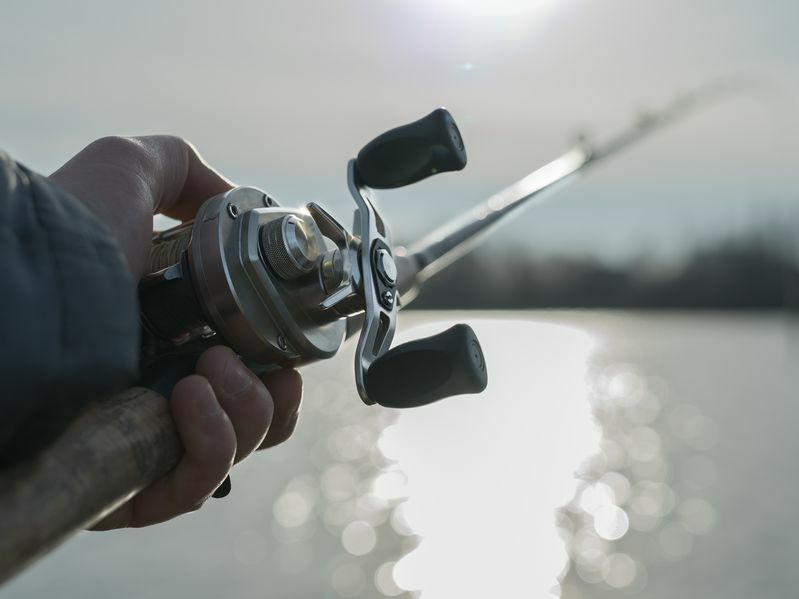 In these situations, the best finesse rod and reel to use is a lighter action rod and a smaller series reel – of course, with a thinner line, preferably fluorocarbon. The reason for these choices is fairly simple. The lighter the rod, the more sensitive it is to detecting subtle bites and bumps on your lure. Smaller reels are better suited to laying out thinner line, as the lips are smaller and smoother than on a larger series reel. This allows you to cast further without increasing the risk of a wind knot. Finally, the reason for the thinner line is fairly obvious: it’s harder to see. Save the thick braid for when you’re fishing topwater, and spool up some <10 lb mono or fluorocarbon. The former is better when used with baits to which you impart action, as it stretches and allows the lure to move more naturally without putting undue stress on the line. The latter is my line of choice when fishing weightless presentations meant to fall under slack, and also outshines monofilament line in abrasion resistance. This means it’s harder for natural obstructions to fray fluorocarbon lines of the same strength and condition as its more easily stressed monofilament counterparts. All in all, I love throwing massive swimbaits and chatterbaits just as much as the next guy, but it’s important to keep lighter setups with you. Come crunch time, it’s easier to get a bite on a 4” weightless worm than a 12” line-through swimbait. This entry was posted in Fishing Tips & Other Wonderings on June 28, 2018 by Willie Luker. Willie is a native Alabamian who is proficient in a number of freshwater species but is especially fond of catching big largemouth bass! He is also a Certified Master Angler, has written about fishing for a local paper, has in the past been a contributor to FishBrain, and is currently lending his talents to Reel Adventure Fishing - your source for everything fishing. Love wacky rigs. Good to use when the bass have smartened up to you. Definitely a true statement. Wacky rigs shine in over-pressured bodies of water, and offer a new way to present an old standby.